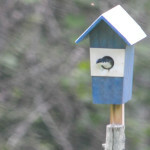 I noticed a little head poking out of my neighbors’ birdhouse. It took a few days to incubate but the seed had been planted. Painting possibilities can swoop in from anywhere. Right out of the blue. Note: This auction is scheduled to run two weeks. My usual weekly post will resume Monday, June 29. TY! 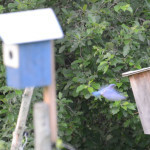 What a better sign that summer has come to Vermont then seeing a bluebird! And to be able to paint one coming in for a landing! You are so lucky! Glad you enjoyed it Cynthia! You do some awesome work! I look forward to getting back home and seeing more of your awesome work. Have you ever panted a cover bridge? I will often paint a picture in my mind…since my mind has more talent than my hand….watching you paint definitely was enjoyable. Beautiful scenery at your house! Thank you for sharing your day! 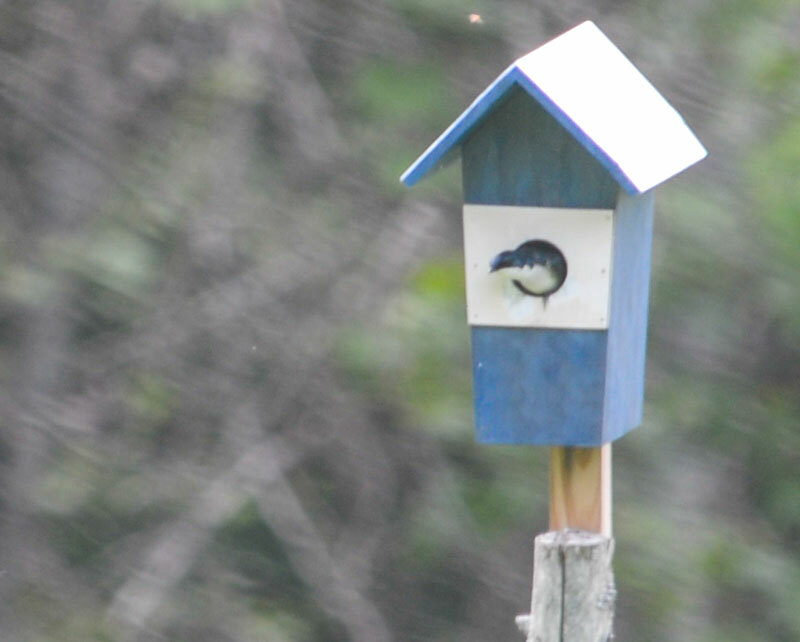 I have a couple of birdhouses at my house and love to sit and watch the birds come and go..one in the eaves also…what better way to spend a summer afternoon! I wonder if the birds we watch with so much joy in turn find us fascinating as well. I doubt it. Thanks Lulu! You are right on the money with the ritual observation Steve. Good one. Funny, (sort of) that I knew darn well I should do a preliminary sketch and value plan for this one and for some reason I decided to skip it. (Just anxious to paint I suppose) I paid the price later in major time and surgery in the studio resolving the design. Let that be a lesson to both of us. 🙂 Maybe I’ll send Toyota a pix of me painting up in the bed of the pick up, which serves as a great platform for plein air work if you can manage to position the vehicle just right. Glad to see I’m not the only one who approaches the early stages of a new painting with trepidation. Watching the video I wasn’t too sure all that black was going to work, but, once again, you came through with a fine end result! Thanks Brian, This one below came out well in the end, but I admit it was a battle in the process. Some paintings just flow right out naturally, almost effortlessly. This wasn’t one of them. Maybe it’s the hard work we put in on the struggles that allows the occasional magic to happen? 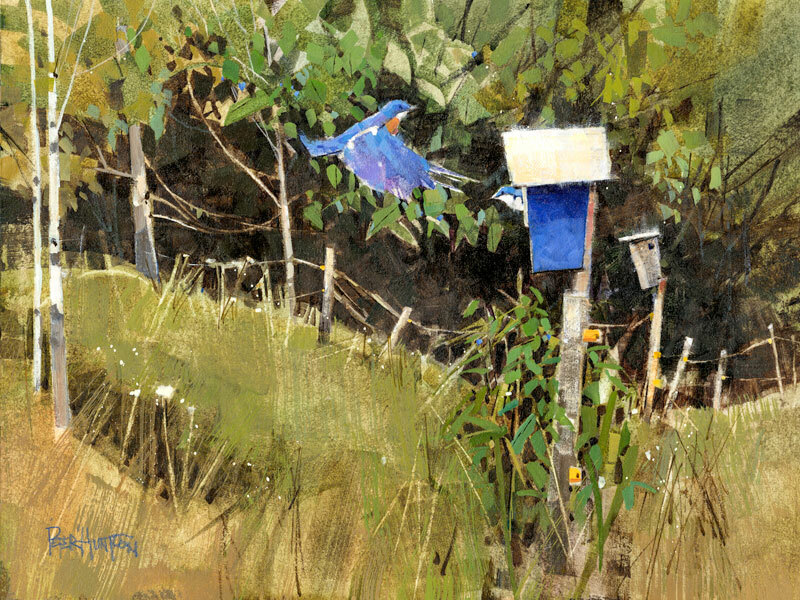 Peter, you capture the beauty of nature and Vermont right down to the singing of the birds that if we didn’t live here we would move to enjoy all that you so beautifully portray with your talent using water color. 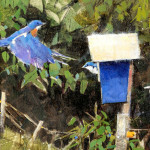 Blue birds are so special here and this painting is a real treasure. Thanks again. It really is a joy to watch these birds do their thing, and it’s certainly a joy to share this artistic experience with you Muriel! Peter, my loving father was a person who fed birds daily and yes they too gave my dad great joy later in life. So glad we could bring back some good memories of your dad for a few moments, Winnie. Art has a very magical way of doing that. Hi Nancy, glad you enjoyed the painting and video. I have seen more bluebirds this year for some reason. Maybe just because I’m looking for them. Thanks! Peter, I am the current high bidder and very hopeful I can win the auction. I have noticed on small detail and this has happened at our house. 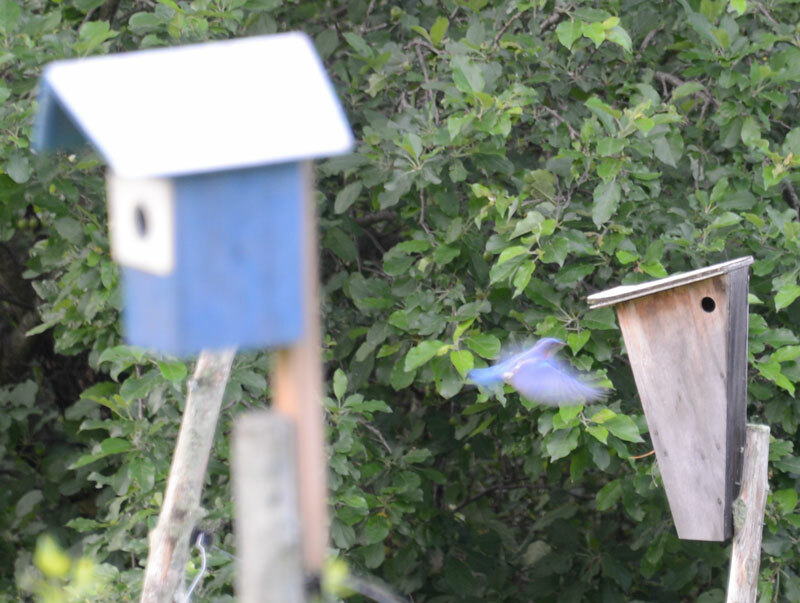 The sparrows take over the bluebird houses! 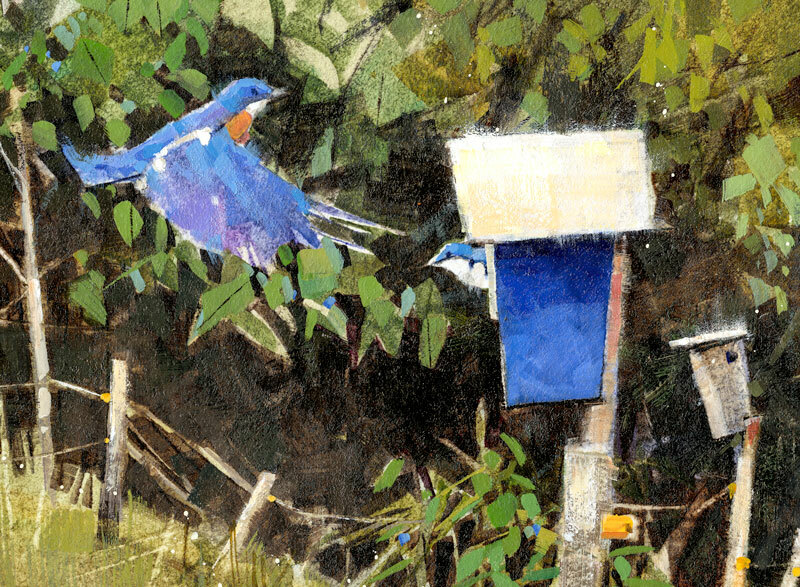 Your painting has an tree sparrow sticking its head out with a bluebird probably going to land on top of the house. If I win, could you accomodate a request of putting a dab of red on the throat/breast of the sparrow and convert her to a bluebird? Thanks for the beatifl painting, I lvoe the theme. Can do Tracy, thanks so much for your support, and the education! Having been born in Rutland a long time ago, I have maintained the love I always had for VT. I married my CSC sweetheart who resided in Middletown Springs,. We both taught in VT several years and had three children born, 2 in Rutland & the last in Middlebury. However, several years later left VT and did a lot of RV traveling, finally settling in St.Cloux, FL. We continue to visit VT, where we have a cottage on Lake Dunmore.